Syria moves the first batch of chemical weapon materials out of the country, reports OPCW. 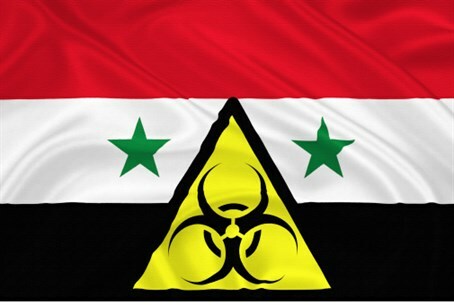 Syria has moved the first batch of chemical weapon materials out of the country after transporting it from two sites to the port city of Latakia and onto a Danish vessel, the Organization for the Prohibition of Chemical Weapons (OPCW) said Tuesday, according to Reuters. "The vessel has been accompanied by naval escorts provided by Denmark and Norway, as well as the Syrian Arab Republic," the OPCW said in a statement. "It will remain at sea awaiting the arrival of additional priority chemical materials at the port." An international operation to destroy Syria’s stockpile of deadly chemicals is currently underway, and is a joint Russian-U.S. Syrian chemical plan that was endorsed by the UN Security Council in September. War, bad weather, bureaucracy and technical issues delayed a December 31 deadline for the removal of the most deadly toxins from Syria. The OPCW did not say what percentage of the "most critical" chemicals, including around 20 tons of mustard nerve agent, were on the Danish vessel. "A first quantity of priority chemical materials was moved from two sites to the port of Latakia for verification and was then loaded onto a Danish commercial vessel today," said the OPCW statement quoted by Reuters. It added that maritime security was being provided by Chinese, Danish, Norwegian and Russian ships. The Syrian government is responsible for the safe packaging, transport along roads to Latakia - including the main highway from the capital where rebels are still active - and removal of chemical weapons. A recent report by UN inspectors said that chemical weapons have been used at least five times during the Syrian conflict and in some cases children and civilians have been slaughtered. The report cited "credible evidence" and "evidence consistent with the probable use of chemical weapons" in the Syrian districts of Ghouta, Khan Al Asal, Jobar, Saraqueb and Ashrafieh Sahnaya. However, the report did not attribute blame for the attacks, as this was not part of the mandate given to the team by the UN Security Council.